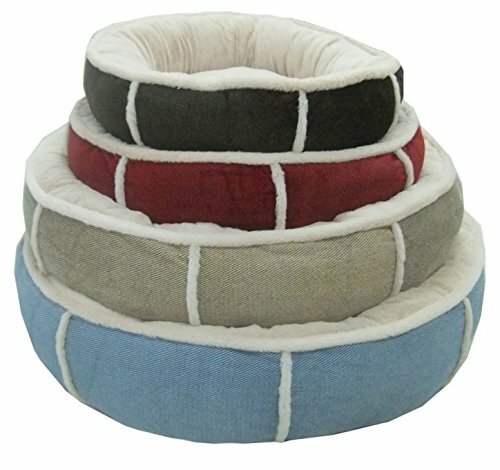 This is the ultimate bed for your pet and will guarantee a good night's sleep. 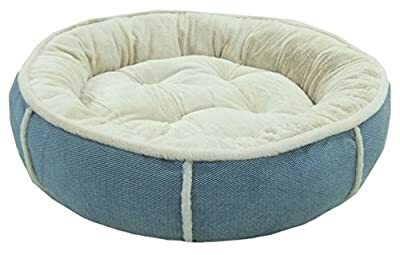 Features: • Super Comfy Bed • Polyfibre filling • Anti-slip bottom Materials: • Polyester Cover • 210D Oxford anti-slip bottom • Fleece Inner Recommended to hand wash and hang dry. Colour: Choice of 4 colours all with tan fleece inner • Brown • Tan • Burgundy • Blue Available in 5 sizes: Small: • Outer size: 50cm x 13cm (19 ¾" x 5") Medium: • Outer Size: 60cm x 16cm (23 ¾ " x 6 ¼ ") Large: • Outer Size: 70cm x 19cm (27" x 7 ½") Extra Large: • Outer Size: 80cm x 22cm (31 ½ " x 8 ¾") Extra Extra Large: Outer Size: 90cm x 22cm (35 ½ " x 8 ¾") Packing: Please note Dog Bed will arrive in poly bag. All sizes are approximate.